I create temporary installations in mostly rural landscapes. The work is drawn from the layers of narrative that make up landscapes - their temporary nature resulting in them become part of that ongoing narrative. Once upon a time and never again. Using colour, shape, scale and sightlines, the pieces are designed to be experienced rather than merely viewed as images. 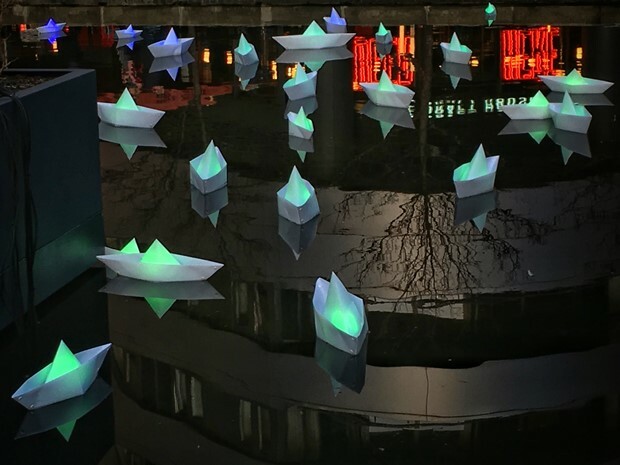 As installations rather than sculptures, the pieces temporarily become part of the landscape, changing the way familiar places are viewed and experienced whilst exploring aspets which make the place what it is. Using lightweight materials - typically textiles - the pieces have a delicacy that permanent pieces can't. Their fragility results in subtle movements and sounds wich add to the experience. Robust and often technically challenging engineering adds to the illusion of effortless simplicity. Working within protected landscapes and heritage locations, the pieces are light in footprint and have no lasting environmental impact. All materials are subsequently recycled or reused. Fleur de Sel - Spazio Thetis, S’Erasmo & La Certosa (Venice) June - August 2009. Beyond Pattern Off-site piece ‘Clad’. Oriel Davies, Newtown, Powys. Fleur de Sel: Preservation & Documentation - Brantwood, Coniston, UK. Scope London - courtesy of Saatchi Gallery. Lords Cricket Ground, London. Landscape Bubble - Kirkby Stephen, Cumbria UK. Here Be Dragons - border posts along the length of the Cumbria Pennine border. Contemporary Surrealism - Brighton Contemporary Arts. Hebden Bridge Sculpture Trail - Hardcastle Crags, West Yorkshire. 'Artist Links 2002-2006' 224pp Colour Publication (English/Chinese). Edited by Simon Kirby. Published by the British Council, China and Arts Council England. 'Forward / Backward / Reloading' 32pp colour publication (English/Chinese). Edited by Thomas Charveriat. Published by Island6. 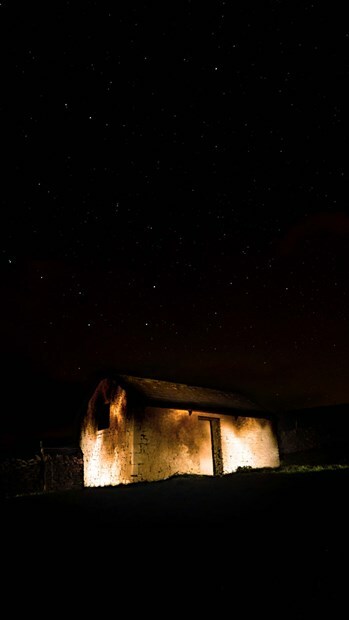 Founder and Director - FRED - an annual festival of site-specific works across Cumbria. 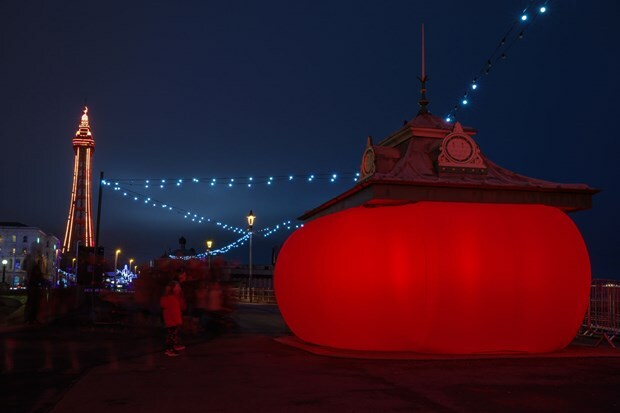 With over 50 artists in excess of 100 sites annually it became Europe’s largest annual festival of site-specific art. Freelance photographer and journalist. Based in Glasgow covering editorial features for the broadsheet weekend supplements and for the UK music press. Photographic Technician. Senior technician for a specialist photographic laboratory in London. Part of a team which produced the first entirely digital magazine cover. Frequent presentations and lectures at academic institutions including Lancaster University, Teeside University, The Slade, London, and the Suzhou Institute of Art & Design Technology, China. Conference presentations on the role and value of culture and place, and art and sustainable tourism in the UK, Sweden and China. Workshops for architects and planners on ‘Colour in the Landscape’ and ‘Contemporary Design in Protected Landscapes’ in the UK and Sweden. Steve Messam is an artist based in the North of England. 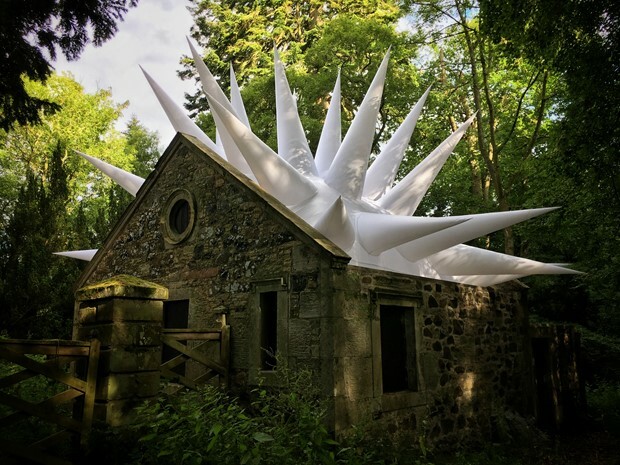 With his site-specific installations, he sets visual accents in rural or urban settings, which include historical relics and vacant architecture that make us perceive the familiar environment in a new way. He is also interested in space: the interaction of art and audience within confined and open spaces, the role of aesthetics and the physical experience. His works include Beached (2007), in which he filled a beach with thousands of sandcastles and paper flags;Landscape Bubble (2006), a redundant building in the North Pennines encapsulated within a transparent globe, Drop (2008) - a giant reflective raindrop the size of a three-storey building in the Lake District and Clad (2009) - a traditional timber-framed cottage wrapped in the fleece of 300 local sheep in Newtown, Wales for Oriel Davies. He created the first off-site installation at the 2006 Shanghai Biennial and created a number of site specific installations across the Venetian Lagoon during the 2009 Venice Biennale. In 2002 he established ‘Fold’ - an arts organisation which aimed to provide and promote access to quality contemporary art in the rural environment. From its small gallery space in the sheep market town of Kirkby Stephen, Fold showed the work of hundreds of artists, both in the gallery space and in the wider landscape. 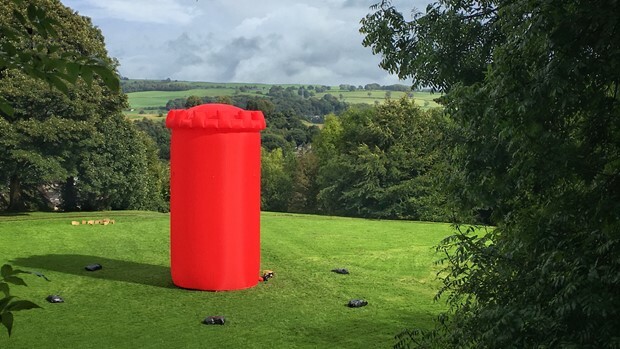 In 2004 he created FRED - an annual art invasion across Cumbria - one of Europe’s largest annual festivals of site specific work. Between 2004 and 2008 over 300 artists produced new work in over 350 locations outside the gallery environment and was seen by hundreds of thousands of visitors. As an artist Steve Messam has worked primarily outside the gallery environment for the past 18 years. He has a particular interest in the cultural reference points inherent in the work of artists living in rural communities and exploiting the assets of landscape, agriculture and community for challenging the preconceptions of contemporary rural arts practice.